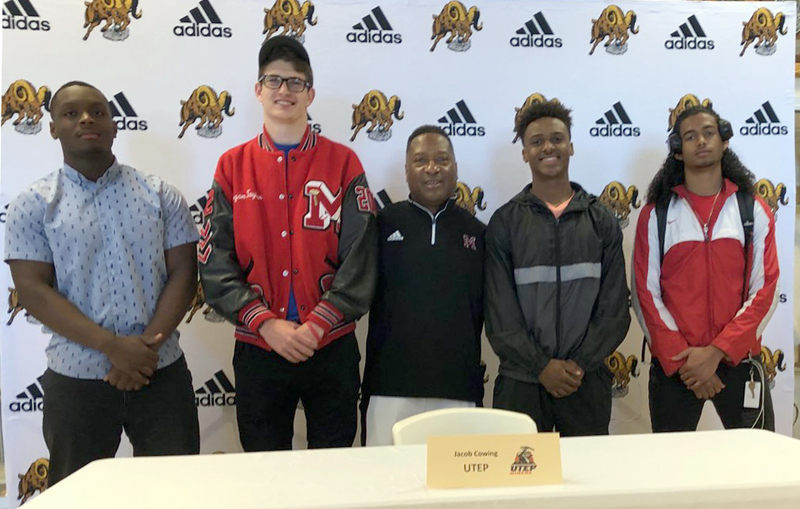 Maricopa High School senior Jacob Cowing became one of 32 high school players to sign with the University of Texas at El Paso to play Division 1 football during “National Signing Day” Wednesday. Four MHS seniors signed letters of intent to play football at the collegiate level. Cowing, a 5-foot-11, 175-pound wide receiver, was named First Team in three positions in 5A San Tan. He had 872 receiving yards, scored 15 touchdowns and had 372 yards in kickoff returns. As a junior, Cowing was also a member of the state champion 4×100-meter relay team for MHS. 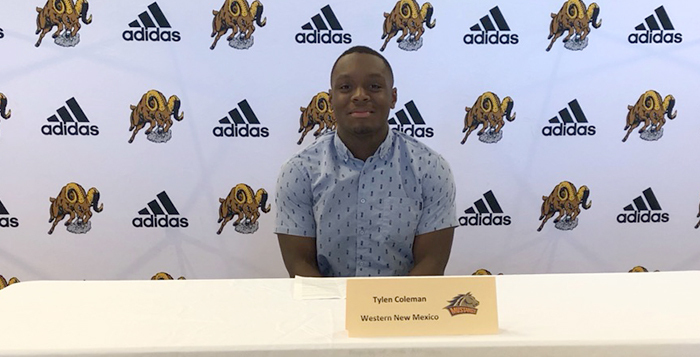 Tylen Coleman, a defensive lineman for the Rams who also played running back, signed with Division II Western New Mexico. He was Second Team in 5A San Tan and last spring was a state qualifier in throwing events in track & field. 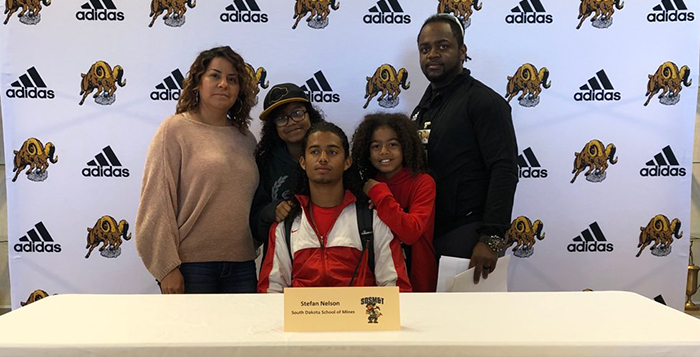 Stefan Nelson, a defensive back, signed with the South Dakota School of Mines & Technology, a top engineering school. The Hardrockers play NCAA Division II football. 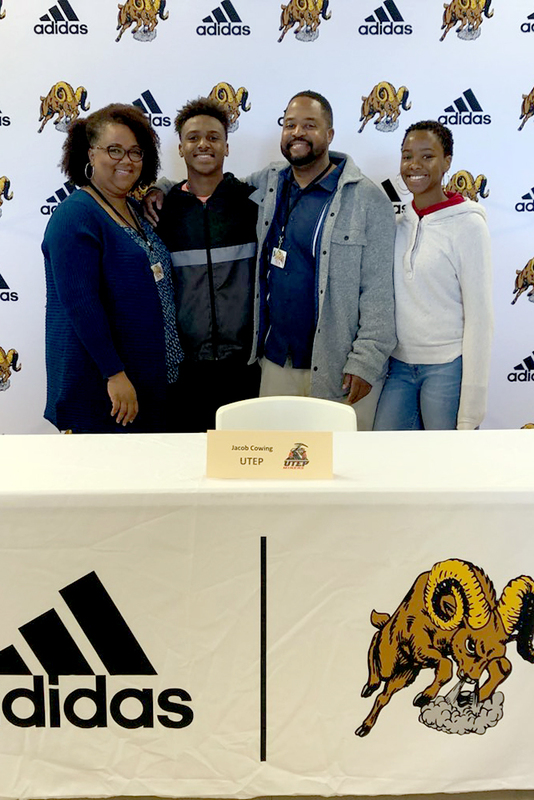 Another Maricopa resident, Trey Brooks, who played for Casteel High School, also signed with SDSMT. 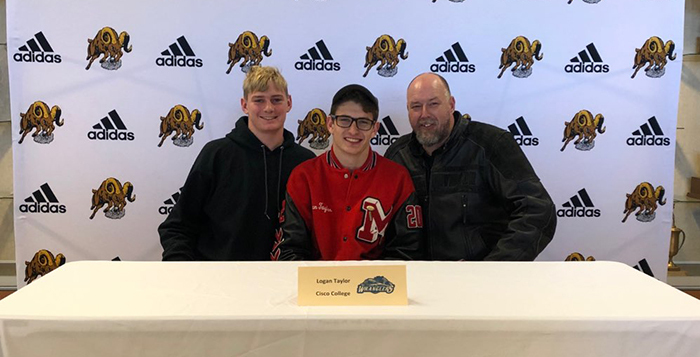 Logan Taylor, a standout in football and track, signed with Cisco College of the North Texas Junior College Athletic Conference after an offer of a full scholarship. He also had preferred walk-on status at Arizona State University. MHS head coach Brandon Harris said seven more senior Rams also have offers on the table from college programs – Bakari Jackson, Kenny Shelton, Jordan Huddleston, Jake Meyer, Keoni Pene, Isaiah Crawford and Isaiah Hawkins. 3rd Team 5A ALL STATE Team for his play as a Defensive Linemen (DE). He finished the season with 15.5 official Sacks (17.5 Dad Sacks which would have set the school Record for sacks in a season) unfortunately Dad sacks are not recognized or official but I could not be more proud of this kid who has a “never quit” motor and attacks every practice as if it means as much as a game. Just goes to show you that if someone calls you a “Try Hard”, make every effort to Try Harder!! !